Book accommodation directly through this owner’s website and we will beat any Beach House Dunsborough accommodaiton price you find online! And we give you personal service you won’t get from an overseas online travel agent (OTA) website. Ask about our last minute Dunsborough accommodation booking prices for a discount on your Dunsborough beach house accommodation. $15 per extra adult, $10 per extra child per night, up to 9 people max. 15% discount for staying a week or more at the Dunsborough Beach House. 10% discount for staying a week or more at the Dunsborough Beach House. All school holidays except Christmas are included as mid-season rates. 10% discount for staying a week or more. All public holidays in Western Australia are included as high season rates. No school leavers or gatherings permitted. 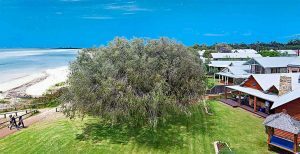 You can book Dunsborough holiday accommodation online by clicking the booking button below. BOOK DUNSBOROUGH ACCOMMODATION ONLINE NOW! Entry through Whalers Cove, last house, on the beach. Phone Beach House Dunsborough owner direct Erin on 0402 882244 for Beach House Dunsborough accommodation prices and enquires. Fill in the form below and we will reply immediately.